If you are a fan of theme parks, chances are that several Cedar Fair properties are on your must-visit list. Even if you're already been to some of this company's popular theme parks, a return visit might be in your future travel plans. Cedar Fair owns an impressive selection of theme parks and water parks throughout the United States, with several properties considered among the top amusement parks to visit. 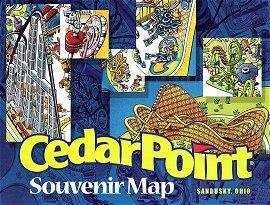 Headquartered in Ohio, Cedar Fair is best known for its Ohio locations. However, this company actually operates parks in multiple states throughout the U.S.
Ohio parks: The majority of Cedar Fair's locations are in Ohio, including the ever-popular Kings Island and Cedar Point parks, home to many popular roller coasters. Other states: Cedar Fair also operates parks from coast to coast, including Michigan's Adventure, Kings Dominion in Virginia, Carowinds in North Carolina and Knott's Berry Farm in California. For many travelers, an adventure outing isn't complete without spending a bit of time cooling off at a water park after enjoying thrill rides and other attractions. That's one reason why Cedar Fair operates Soak City water parks in close proximity to several of its theme parks, including Soak City Cedar Point and Knott's Soak City. When you're ready to start planning a getaway to one of the Cedar Fair properties, let LoveToKnow Theme Parks be your first online stop for information and planning advice. Whether you already know what park you want to visit or if you are on a mission to learn about the available options, you can find helpful information for planning your trip here. From park locations to rides, attractions and accommodations, you can find out what you need to know to make an informed decision about your upcoming getaway!